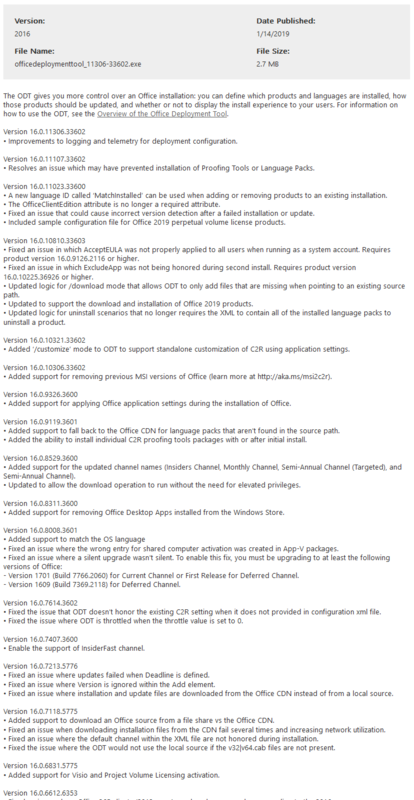 Inspired by Trond Eric Haavarstein’s evergreen PowerShell setup scripts, I created a download and install script for Office 365 Deployment Tool (ODT). Microsoft Office 365 is the new standard in the EUC space right now. To honor this, we need a fast and reliable way to install it with our favorite deployment tools like MDT or PDQ, for example when you rebuild your master images. I had to bulk repair a few Office 365 Fat Client Installations. With the Office 365 Click-to-Run deployment EXE and two XML files this is a quick task.